Lawrence University student musicians captured top honors in a pair of recent state music competitions. Pianists Cameron Pieper and Elizabeth Vaughan earned first- and second-place honors, respectively, in the Wisconsin National Federation of Music Club competition, which is conducted via submitted audio recording. As the state champion, he will represent Wisconsin in the National Federation of Music Club national competition later this spring. It was the second-winning performance this year for Pieper, who was awarded first place honors last month in the Schubert Club’s Carlson Student Scholarship Competition in St. Paul, Minn.
Vaughan, a senior from Highland Park, Ill., received $750 for her runner-up recording. 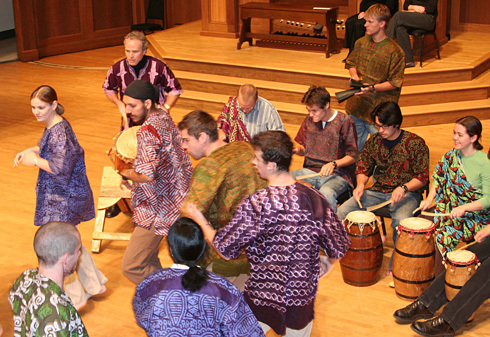 The competition is part of the Wisconsin Federation of Music Clubs’ mission to promote music and dance through arts advocacy, student festivals, competitions and scholarships. Pieper and Vaughan both study in the piano studio of Professor Catherine Kautsky. Erec VonSeggern, a sophomore from Idyllwild, Calif., won the Wisconsin State Flute Festival held in Madison. He was awarded a first-place prize of $350. It was the third straight year a Lawrence student has won the state flute festival competition. Senior Heather Jost, a senior from Pewaukee, also qualified for the finals and earned third-place honors. The Wisconsin Flute Festival is a one-day educational event for flute players and flute enthusiasts of all ages and abilities. VonSeggern and Jost are students in the flute studio of Assistant Professor Erin Lesser. Lawrence University student pianists Evan Newman and Elizabeth Vaughan earned first- and second-place honors, respectively, at the recent (10/18) 2014 Music Teachers National Association (MTNA) Wisconsin state competition conducted at UW-Whitewater. With his winning performance in the won the Young Artist (19-26 years of age) competition, Newman, a sophomore from Plymouth, Minn., advances to the MTNA’s five-state East Central Division competition, which will be held at Lawrence Jan. 17-18. Winners at the division competition advance to the MTNA’s national competition March 21-25, 2015 in Las Vegas. A student in the studio of Associate Professor Anthony Padilla, Newman performed works by Haydn, Chopin (2) and Prokofiev. Vaughan, a senior from Highland Park, Ill., was the 2013 winner. She is a student of Professor Catherine Kautsky. 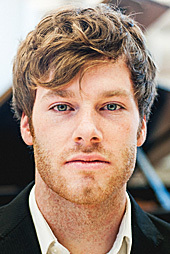 Newman became the 14th Lawrence piano student in the past 16 years to win the Wisconsin MTNA competition. Three other Lawrence students — sophomore Michael Davis, Bloomington, Minn., junior Jon Hanrahan, Johnsburg, Ill., and senior Tess Vogel, Southbury, Conn. — earned honorable mention recognition. 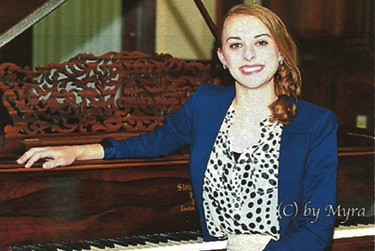 Hours of hard work and practice time for Lawrence University senior Casey Kadlubowski have been rewarded with a $1,000 scholarship and a public recital. Piano performance major Casey Kadlubowski performs a free recital July 8 in Menominee, Mich.
Kadlubowski, a piano performance major from Marinette, performs Tuesday, July 8 at the Spies Public Library in Menominee, Mich., as the winner of the 2014 Menominee Area Arts Council (MAAC) John B. Henes Scholarship Award. Her 40-minute free recital begins at 4:30 p.m. and will include works by Bartok, Beethoven, DeBussy and Faure. She is a student in the piano studio of Assistant Professor Michael Mizrahi. The $1,000 scholarship competition is open to incoming and current college students from the Marinette and Menominee area specializing in either visual or performing arts. Selection is based on letters of recommendation from both a current professor and member of the hometown community as well as a CD or DVD music portfolio of the student’s work. Founded in 1957, the MAAC seeks to promote, educate, present and encourage support of arts in the local communities. In 2013, they established the John B. Henes Scholarship award, named after one its founders, in order to continue their mission and encourage growth of local young artists. 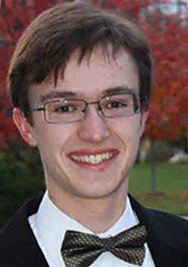 For the second year in a row, Lawrence University flutist Sam Golter earned first-place honors in a regional competition sponsored by the Flute Society of Washington Inc.
Golter, a senior from Springfield, Va., won the Mann Orchestral Excerpt Competition held Feb. 16 in Reston, Va. He was selected as one of three finalists from audition tapes submitted by musicians who are from or attend college in the Mid-Atlantic states. Golter was the only undergraduate among the finalists. In the live finals, he performed seven different flute solo excerpts from major orchestral pieces by composers ranging from Bach and Brahms to Mozart and Stravinsky. In addition to winning a first-place prize of $500, Golter also performed with Sarah Jackson, principal piccolo player with the Los Angeles Philharmonic, as part of a master class. In 2012, Golter won the Flute Society of Washington’s Collegiate Soloist Competition. Prior to the Mann Competition, Golter also earned first-place honors in the Flute Society of Kentucky Collegiate Competition conducted at Campbellsville University. Golter was one of three finalists selected from 19 undergraduate musicians from nine states who submitted preliminary round audition tapes. He performed C.P.E Bach’s “Sonata in A Minor” and Ian Clarke’s “The Great Train Race” in the finals. A student in the flute studio of Erin Lesser, Golter received $250 for his winning performance and also played a recital as part of the 2013 Kentucky Flute Festival. 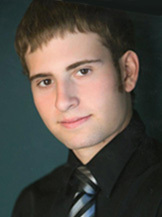 Lawrence University’s Leo Sussman earned first-place honors in the recent 2012 San Francisco Flute Festival competition. A sophomore at Lawrence, Sussman was one of four flutists selected for the finals of the national competition via submitted video audition. For his winning performance, Sussman received a $250 prize and an invitation to perform as a soloist with a flute choir at the 2013 San Francisco Flute Festival next June. This was the first time Sussman, a San Francisco resident, had entered the competition, which features both an adult (over 18) and youth (under 18) division.